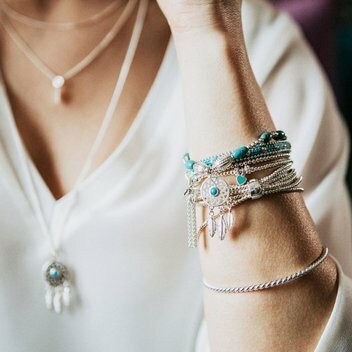 Accessorize with a free Foxtrot Bracelet Stack from Annie Haak | FreebieFinder UK | Freebies, Samples, & Other Free Stuff. ANNIE HAAK are giving you the chance to brighten up your summer wardrobe by winning a stunning Foxtrot Bracelet Stack featuring vibrant turquoise coloured beads and gorgeous 925 sterling silver charms. Be one of the two lucky people to win a Foxtrot Bracelet Stack from Annie Haak by entering this competition on the Marie Claire website.